The Russell Glacier draining the Greenland ice sheet inland from Kangerlussuaq on Greenlands west coast. This glacier has speeded up in recent years and is also receding rapidly due to human induced climate change. Greenland has warmed nine degrees Fahrenheit in the last 60 years. 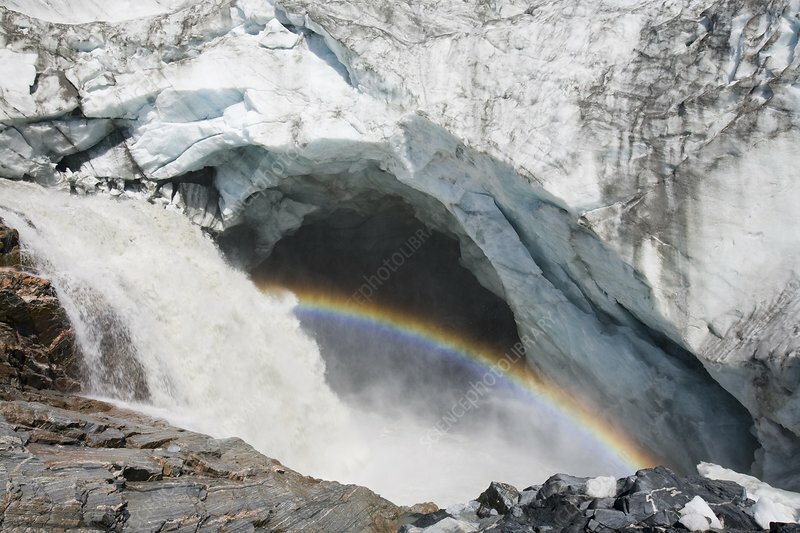 Scientists believe the glacier is moving faster as increased quantities of meltwater are flowing down through moulins to reach the base of the glacier which then acts as a lubricant and allows the glacier to flow faster.